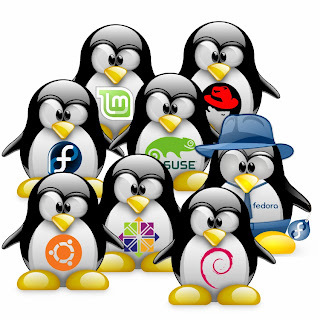 As always this is a hugely popular debate topic, but I am writing this post to help linux beginners pick a distribution that is right for them. Not all linux distributions are created equal. There are so many options to choose from and so many acronyms that it can be hard to get a straight answer on what the hell you should download! "Does the computer I want to use have modern 3d graphics hardware?" If you do not have a graphics card in your computer, as is the case with many low end and older netbooks, then you need to stay away from distributions which use Gnome 3 or Unity. While Unity 2d runs fine (that's fine, not quick and smooth) on most netbooks, it will not be included in the 12.10 release of Ubuntu this October. Netbooks, Low power desktops, and misc. 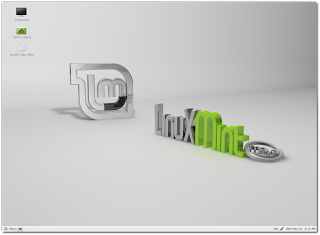 The best option for you is likely Linux Mint 13 with MATE desktop. It is debian based so ubuntu users will feel at home. 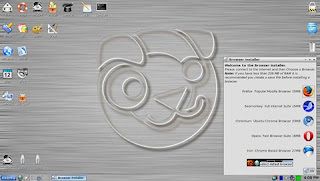 The MATE desktop is a branch of the Gnome 2 desktop which does not require 3d graphics. You can also choose from a KDE or Xfce desktop variations. Stay away from Cinnamon, as it is Gnome 3 based and requires 3d acceleration! Mint will offer you a very modern and exciting desktop environment. The biggest complaint that people have when switching to Mint from ubuntu variants is that, "It's not Ubuntu." You might miss your Ubuntu colors and logos, but you will be happy with Mint's performance. It is quite nice knowing that you can jump right in with your familiar terminal commands and applications. The MATE desktop is MUCH smoother than unity 2d on my ASUS 1000HE (1.66ghz atom with 2gb ram). The Ubuntu experience has degraded with each major release on my netbook since 10.04. At idle, my processor was at about 45-50% use in Ubuntu 12.04 with unity 2d. Now under Linux Mint 13 MATE, my idle is down to 5-7% processor use! Like I said, much smoother! Mint 13 with the MATE desktop is designed to run on the same older graphics framework and the older version of gnome desktop. This means that you get less eye candy, but you also get smooth performance. The performance is really what you want in the end, and eye candy is useless if your graphics chipset cannot handle it. I have always disliked Mint Linux... for no reason besides bias. I am now learning to like it more, but I will still try out the new Ubuntu GNOME Remix when it is released as a beta or release candidate. For now however, stop reading this and go download Mint 13! You will not regret it! [UPDATE]: I did run into a problem installing Mint13 on an ancient Sony VIAO tower. At first I was I tried installing with only 128mb ram and no graphics card, just using onboard vga. The GUI installer was very slow and I ran into an install issue with the ubiquity-slideshow-mint trying to write to dconf and failing. Then I got an unexpected quit from the installer. Because the boot process into the GUI was taking ~30min each time, fixing the issue was very frustrating. I finally dug up some extra pc133 ram and bumped up to 512mb. Then i found an old PNY agp 256mb nvidia card and installed it. After some bios tweaking to get the graphics card working I made it into the GUI installer. The experience was faster but still slow due to being loaded into the RAM. I had the same crash when as soom as user info was input and the ubiquity slideshow started. note that the installer will get much smaller than normal as soon as you have finished inputting the user info. You removed the slideshow that was supposed to be filling the window. The install finished nicely and mint 13 runs well on the ancient terminal! There is a 2-3second lag when opening applications, but menu functions are snappy and feel great! Puppy linux is my backup choice for you. If your computer is so lacking in the hardware department that it cannot deal with Mint, then install puppy linux. Puppy is designed to be small and fast. It is ~100mb and loads to the RAM for fast performance even on older machines. Very, very low system requirements: 128mb ram! It requires no 3d acceleration and has a debian/ubuntu compatible distribution so that you can move from ubuntu to puppy without hassle. Puppy is less refined, but will still offer the most modern experience on aging hardware. Definitely worth a look if you are desperate to keep some old hardware running, or if you want to give light users a functional machine. You will not be magically modernizing very ancient hardware, but it will give you functionality. You might be able to use a 15 year old tower as a word processor and basic computer for kids who do not need much more than the basics. What about those of us with awesome graphics cards? Well first off, kudos on the beefy hardware! This year has seen a huge surge in the popularity of the gnome 3 based cinnamon desktop for linux mint 13. At the same time, many improvements have been made to the Unity desktop in Ubuntu 12.04. Your decision as to which distribution is better, is really a matter of which camp you come down in. For the beginner, who has no biases about unity, I suggest that you install the reigning Linux heavyweight champion; Ubuntu. Ubuntu 12.04 and soon 12.10 has seen many improvements to the Unity interface and the addition of countless "lens" extensions. The software base for Ubuntu is very extensive, and you will have access to the Ubuntu software center, which is a very polished storefront! If on the other hand you are a Gnome fan, then go with the Linux Mint 13 Cinnamon desktop. You will be able to use Ubuntu .deb packages and will still have access to the huge Ubuntu repositories. DO NOT MIX AND MATCH! I strongly recommend against trying to install Ubuntu and then manually remove the unity interface so as to replace it with Gnome. There are a few vague guides on doing it, and a few semi complete projects... but having tried several different methods I heartily recommend against it. Just wait until the Ubuntu GNOME remix is solid, or install Mint 13 cinnamon/mate. If you are so keen to tweak your linux then install Arch and save yourself the trouble of dealing with zero documentation! For those who are resurrecting hardware that should be long dead. I can't tell if this article is "Best Linux for Beginners" or "Best for Netbooks/Older Hardware." If it's best for beginners then your suggestions are fine. If it's best for netbooks/older hardware then I think that you've missed it. IMO, the best option for a netbook/older hardware is going to be something with a lightweight window manager. My first suggestion would be Crunchbang (with the Openbox window manager), and as it's based on Debian you have an endless repository of apps. I would also suggest Bodhi Linux (with the E17 desktop environment), and as it's based on Ubuntu you also have almost all apps at your fingertips. Yes, Puppy would also qualify as it uses JWM. But trying to run Ubuntu or Linux Mint on a netbook/older hardware is asking for trouble. Well I wrote this for the folks who are both beginners, and are unaware that there are lightweight desktop environments besides the not so light LXDE and Xfce which are usually touted as the alternatives to Unity and Gnome. I am honestly not a fan of Bodhi which is the reason I didn't list it here, I tried Bodi along with Puppy linux, the "runners up", and a handful of others sidenote OS's on my ASUS 1000HE before writing this post. I chose to list puppy linux as the winner because I like it the most. Not only because it performed well in this instance, but because I have relied on it many times in the past. I have never actually used Crunchbang, but it looks pretty cool. I will have to try it out over the winter break. Thank you for the tip! Until then I will continue to recommend Linux Mint 13 with the MATE desktop. It runs extremely well on the Atom N280 with 2gb of RAM. I use it every day as my primary school and work computer. I'm pretty picky about snappyness and available resources, but Mint 13 MATE handles very well. Note that I am not recommending the Cinnamon desktop environment... No way that would work on a netbook. For the advanced users, I doubt very seriously that you are looking at my blog for tips haha! Thanks Matt, for taking the time to pursue this! I agree Daniel, I got into Linux in 2007 after trying Ubuntu 7.04 Feisty Fawn. The Ubuntu operating system is great, but it has gotten a bit too heavy for the recycled & cheap hardware community. This is last year's post, and there is a new iteration of this discussion for 2013. My recommendations are very similar to last year's, BUT I was recommended a distribution called Crunchbang. I highly reccommend it for netbook use this year! Im running a p4 with 1 gig ram on a desktop an I put Ubuntu 9.04 on it well just because I had it laying around an just never realy used it my problem is that im running win XP on it an I use Verizon internet an a netgear n150 wireless usb to get online an I cant get on with the pc using Linus because I cant install it and I am a newborn when it comes to linus how can I get my wireless installed. Yeah, that was one of the biggest issues with linux way back when! I had the same issue on 9.04 and had to use the ndiswrapper to install a windows wireless driver back then. Now a days that sort of driver incompatibility is almost non existent. Because Canonical has garnered such a large market share, the driver support for debian based linux is terrific these days. a p4 with 1 gig of ram should be able to run some decent linux. I have a new post for this year that recommends Crunchbang. I bet the newer OS works out of the box for you! I've played with Linux on notebook PCs, am looking for a good distro for my Gateway LT4004u netbook. A rookie question: can I install this without burning the ISO to an optical disc? I've downloaded the ISO file to an SD card but do not know how to run or install on my netbook without an optical drive. I assume that you are creating a bootable usb/sd card from windows. The short answer is to use a program that does the work for you. I like YUMI made by the guys over at pendrive linux. download and run it... then select your usb, the distro you want, and the location of the iso file. make sure you tell yumi to format the usb for you as well. I'll try to write a post on this weekend. Its an essential skill without question!